A new report has found that a majority of non-organic fruits and vegetables on supermarket shelves are contaminated with pesticides, with organic produce suggested as the only solution. The non-governmental organisation Générations Futures published the report yesterday (Tuesday 20 February). The research was based on data from economic agency la Direction Générale de la Répression des Fraudes (DGCCRF). It focused on representative samples of 19 fruits and 33 vegetables. 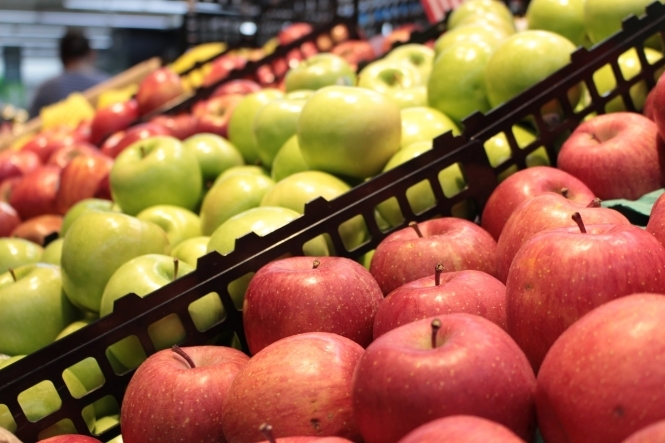 Three quarters of non-organic fruits were affected, along with 41% of non-organic vegetables. White grapes, clementines, cherries, grapefruit, strawberries, raw celery, fresh herbs, and lettuces were among the foods found to be most affected, with a majority registering “traces” of pesticides. The results have prompted questions over whether a move to organic foods (known in French as "bio") is the only answer. Speaking to news source 20 Minutes, André Cicolella, president of the health network Réseau Environnement Santé, said that the only way to avoid pesticides entirely was to eat only organic food. Even small traces of pesticides can build up in the body and cause damage to the endocrine system, he said, especially in the case of small children and pregnant women. Producers, companies and consumers should change their approach and eliminate excess pesticides from the environment, he added, just as babies’ bottles had been banned from containing the chemical Bisphenol A (BPA). In response to the growing fears about pesticides, the government has been working with producers to propose a series of new measures. These might include the launch of a label reading “zero pesticide residue”. As a separate classification to “organic (bio)”, the label would denote products with less than 0.01mg of pesticides per kilo of food. But Générations Futures claims this would not go far enough, because it would fail to eliminate pesticides completely. A switch to organic need not break the bank. Suggestions for consumers include buying fresh, organic fruit and vegetables at low-cost supermarkets, sticking to food that is cheaper in-season, or using local markets in more rural areas.